I spent a lot of time in nature this past summer. I was in The Thousand Islands of Upstate NY, Hunterdon County and the Delaware River in Frenchtown, NJ, and Maine. Getting out of my studio and spending time in nature was really great for me. During my adventures I collected leaves, branches, and rocks to bring back my studio and photographed them. They are nothing really special, just ordinary objects you can find anywhere in nature. However, I found beauty in their shapes and colors. I stylize them in my studio and photographed them in film with my Sinar 4x5 camera. The original prints for this series are available at my website. The reasons I still shoot in film. Apple announced that the new i-phones will be equipped with 12 megapixel cameras. Canon has introduced a new full-frame mirrorless camera system. Tons of “new” and “better” cameras come out every year. I mainly use digital cameras for commercial photographs and that forces me to check out new gear and see what’s up and coming in the photo industry. However, I still use film. Especially for my fine art work, I believe that black and white film photography is the way to go. Film is not cost-effective today; if I make a mistake I just end up wasting my money. The image quality of film photography often seems inferior to today's digital photography. Film photography is not immediate, it takes patience; I don’t know how my photographs will come out until I have time in the darkroom. And if I shoot outside, I have to bring film rolls and they get cumbersome. Ok, so why I am still shooting with film? Reason 1: I like black and white photography because I started photography before digital cameras were common. When I was young I studied master photographers’ photos and they were all black and white. In my opinion, the ultimate mode of photography is black and white film. Reason 2: I like being in the darkroom. 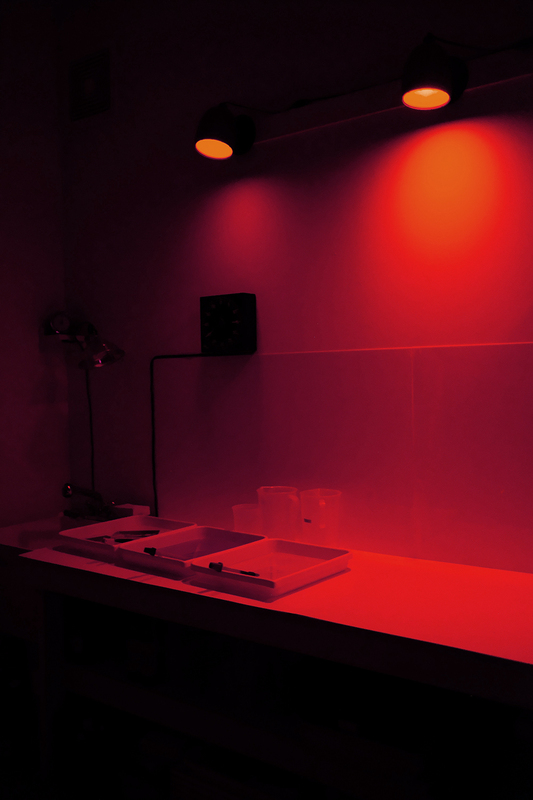 The darkroom brings me to a meditative state, it's like yoga. When the mood strikes I listen to some jazz but usually I prefer silence so that all I hear is the sound of running water. 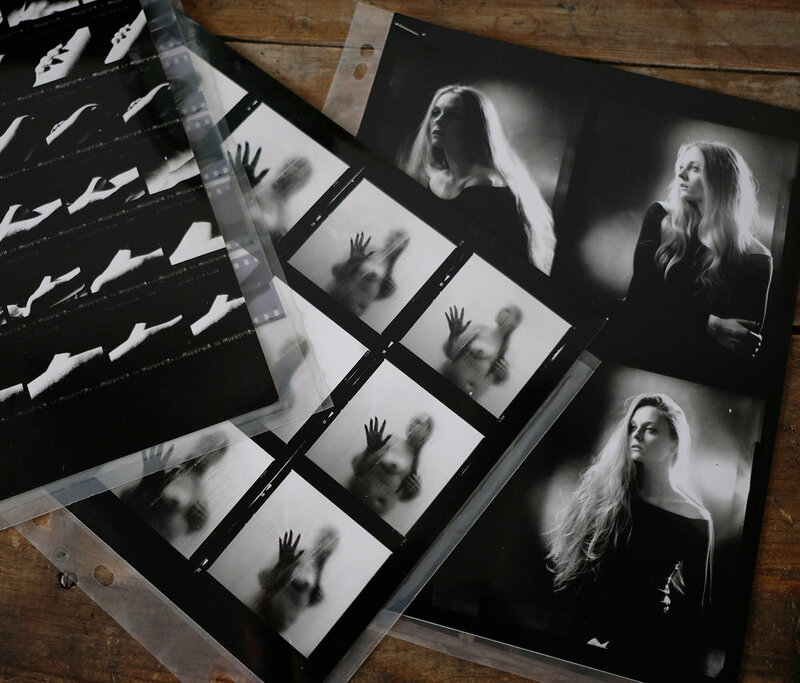 The darkroom is so mysterious, I love the process that takes place in my darkroom. Reason 3: I like the smell of film photography. The odors produced in the darkroom are arguably bad for my health and most people find them unpleasant but oddly, I love it. I worry that film won’t be around forever; my favorite photography practice depends on the livelihood of film and paper manufacturers. I hope I can continue to shoot, process, and develop film for the rest of my life. I have been in New York for nearly 15 years and as a photographer I have been lucky to meet many people and make great friends from all around the world (Thanks, Big Apple). People say that if you have been in New York for more than 10 years, you are a New Yorker. Okay, I love the idea of being considered a New Yorker but here is my problem. My tongue muscles are still not functioning as they should be, my Japanese accent is really HEAVY! I studied English in college, learned at work and from friends, and took additional English pronunciation classes. Yes, they helped but I realize that some people still have hard time to understanding me. If it's friends, I usually tell them to hang out with me more so they can get used to my accent. If its work, I tell them to hire me more often so they can understand me better. I suppose I’m lucky that I’m a photographer and essentially I can use my photographs as a visual language. There are so many non-native English speakers in New York. I hear all different kind accents everyday, so I may not need to care too much about my accent but I stillwant to improve and reduce it. Maybe it’s too late to build English speaking muscles but is there a way I can sound clearer and understandable to everyone? So here is the method I come up with: when I speak Japanese, I imitate accents of non-native Japanese speakers whose first language is American-English. If I can sound like them in Japanese, I can sound like them in English as well? This is probably a dumb idea but I want to see how it goes. Learning languages should be fun, right?